"Please don't waste this time", Tusk said at a news conference after eight hours of EU leaders' talks. He stressed that the UK still had all the options on Brexit available during the extension, from approving the stalled divorce deal, to changing its leave strategy, to canceling the departure altogether. "Tonight, the European Council decided to grant the United Kingdom a flexible extension of the article 50 period until the 31st of October. This means an additional six months for the UK. During this time, the course of action will be entirely in the UK's hands", Tusk said. "It can still ratify the withdrawal agreement in which case the extension will be terminated. It can also reconsider the whole Brexit strategy that might lead to changes in the political declaration but not in the withdrawal agreement. Until the end of this period, the UK will also have the possibility to revoke article 50 and cancel Brexit all together," Tusk added. When asked if the Brexit deadline extension beyond 31 October was possible, Tusk said the upcoming six months "could be enough for a good solution if there's goodwill." "Our intention is to finalize the whole process in October. And the political intention was clear among the member states that our wish and our hope is that the UK will be ready with the final solution until the end of October. But I am too old to exclude another scenario. Still, everything is possible", Tusk argued. Heads of 27 EU members states and the United Kingdom have agreed upon a flexible extension of the Brexit deadline until 31 October, giving London an additional six months to figure out the best possible way out of the withdrawal deadlock, Tusk said on Thursday. At the same news conference, President of the European Commission Jean-Claude Juncker said that a no-deal Brexit would be a "disaster", adding that everyone involved would work to avoid that scenario. "We will have a Brexit with a deal. I'd prefer no deal without Brexit", Juncker told a news conference. 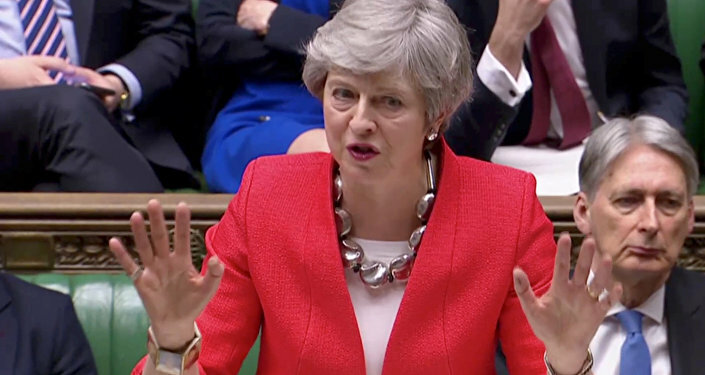 According to the Brexit summit conclusion, if the UK fails to ratify a withdrawal deal by 22 May, it must hold the European Parliament election or leave the EU on 1 June. "If the UK is still a Member of the EU on 23-26 May 2019 and if it has not ratified the Withdrawal Agreement by 22 May 2019, it must hold the elections to the European Parliament in accordance with Union law. If the United Kingdom fails to live up to this obligation, the withdrawal will take place on 1 June 2019", the European Council said in its Conclusions on a Special meeting dedicated to the Brexit deadline extension, held in Brussels on Wednesday. However, If both the European Union and the United Kingdom ratify the Brexit deal before October 31, London will leave the bloc on the first day of the following month, the European Council said on Thursday. In addition, the EU expects the United Kingdom to facilitate the achievement of the bloc's objectives and to refrain from any moves compromising the European Union's interests throughout the period of the extension agreed by the parties at a Special meeting in Brussels. 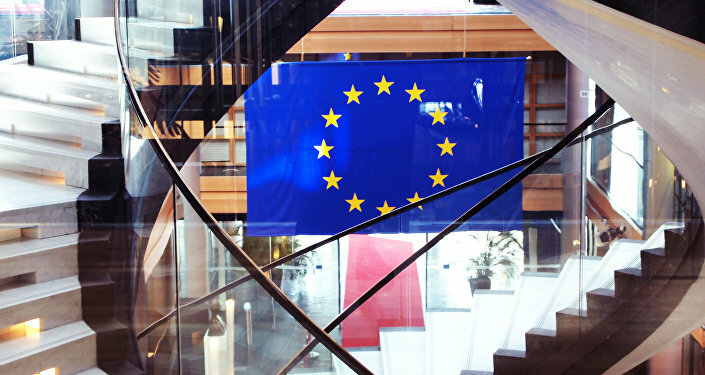 "The European Council takes note of the commitment by the United Kingdom to act in a constructive and responsible manner throughout the extension in accordance with the duty of sincere cooperation and expects the United Kingdom to fulfil this commitment and Treaty obligation in a manner that reflects its situation as a withdrawing Member State. To this effect, the United Kingdom shall facilitate the achievement of the Union's tasks and refrain from any measure which could jeopardise the attainment of the Union's objectives, in particular when participating in the decision-making processes of the Union", the European Council concluded. The UK Parliament has repeatedly rejected the withdrawal agreement, coordinated between London and Brussels, and the country has therefore risked tumbling out of the bloc without a deal, which could affect both the UK and EU economies. The UK government and Brussels reached a divorce deal late last year, but the UK Parliament has refused to back the agreement and cannot agree on any alternative measures. The country was supposed to leave the bloc on 29 March but missed the deadline. The issue of Northern Ireland remains a thorny one in the Brexit process. The main challenge for London is to avoid a hard border between Northern Ireland and the Republic of Ireland, while at the same time securing the nation’s integrity.